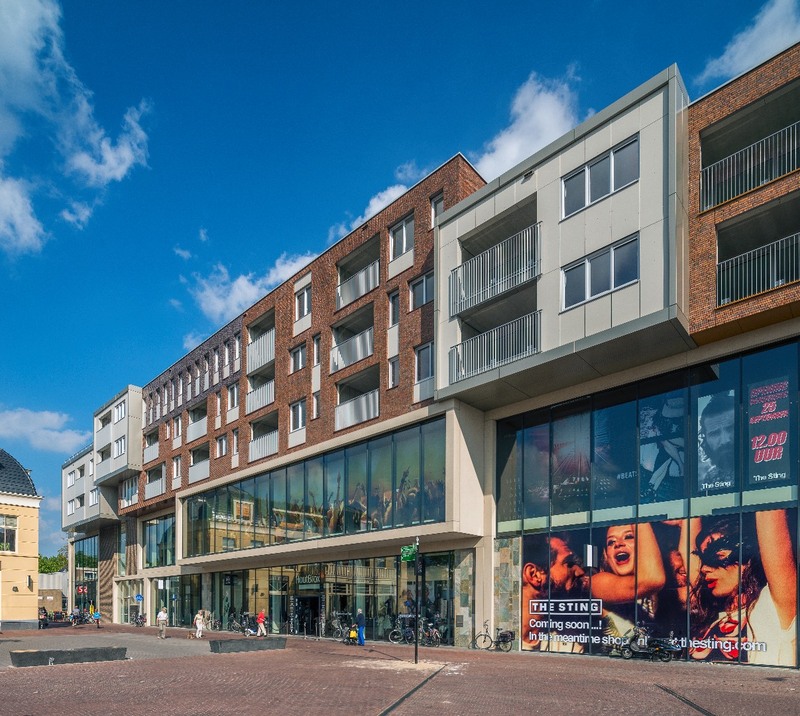 Raadhuisplein is the main urban square in the town of Drachten. 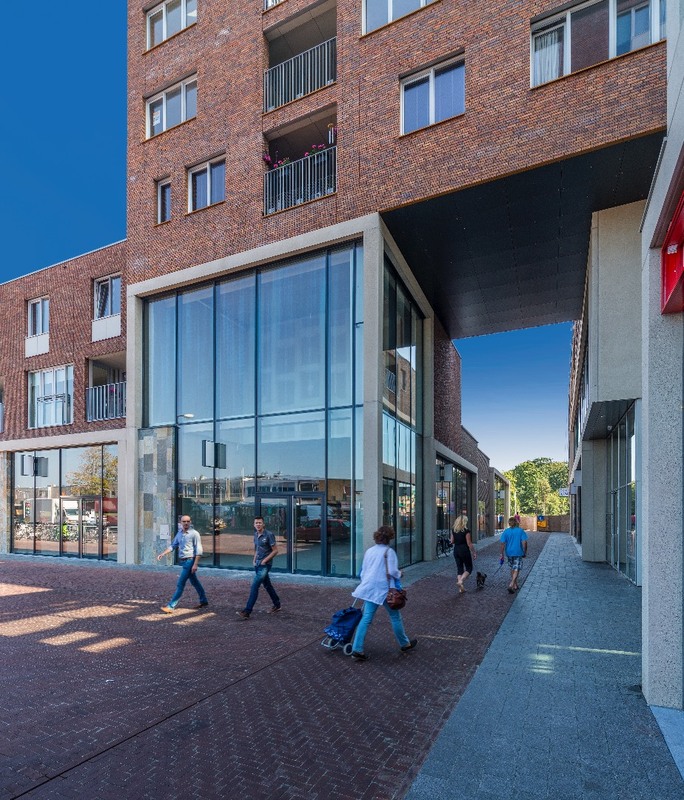 However, the existing shops and houses, some of them designed by Van den Broek and Bakema, no longer met contemporary requirements. In response, Tangram worked with the municipality on an urban study, and then designed and built the architecture of the entire ensemble. 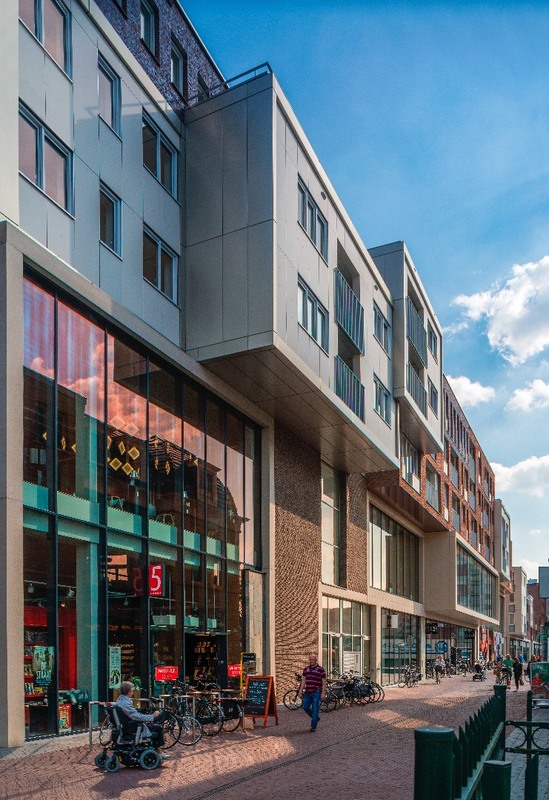 Combining partial demolition and new construction, the result is a complete transformation of the town centre. 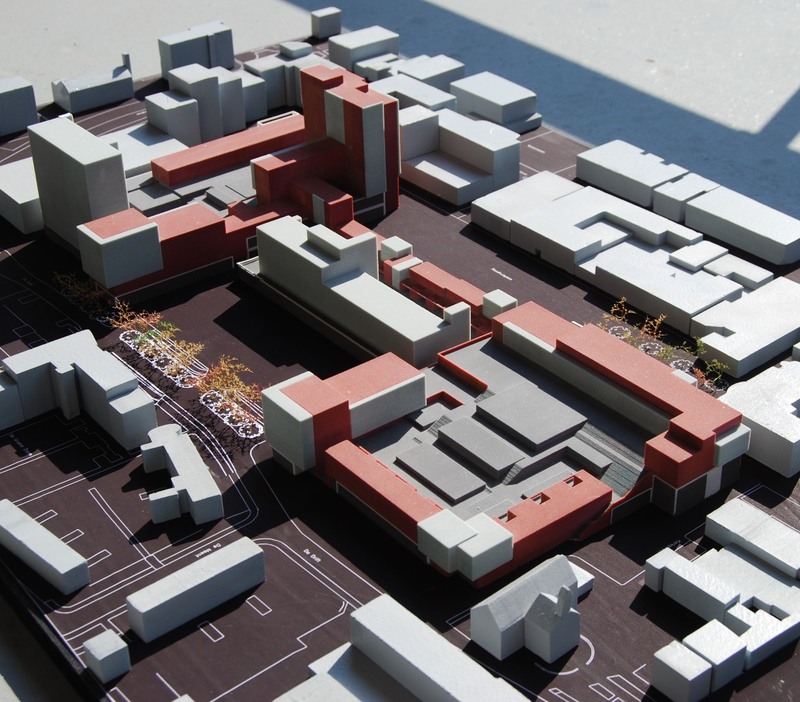 The plan contains a very wide range of housing, divided into three blocks above a number of shops, below which is an underground car park that extends beneath the square. 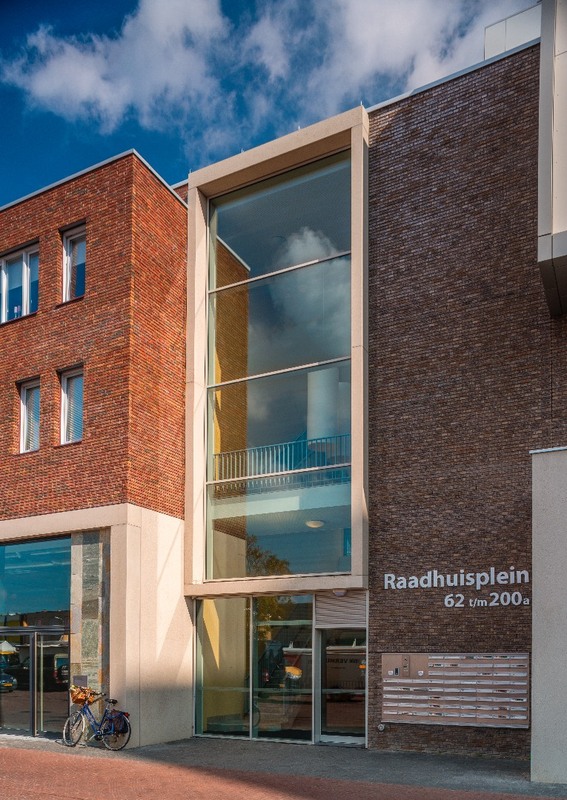 This reconstruction has enabled Drachten to regain its regional function. Two characteristics define the area. Development on the Raadhuisplein side is small-scale and fragmented, while the Drift side is dominated by 1960s buildings. This division determined the design of the volumes and façades. 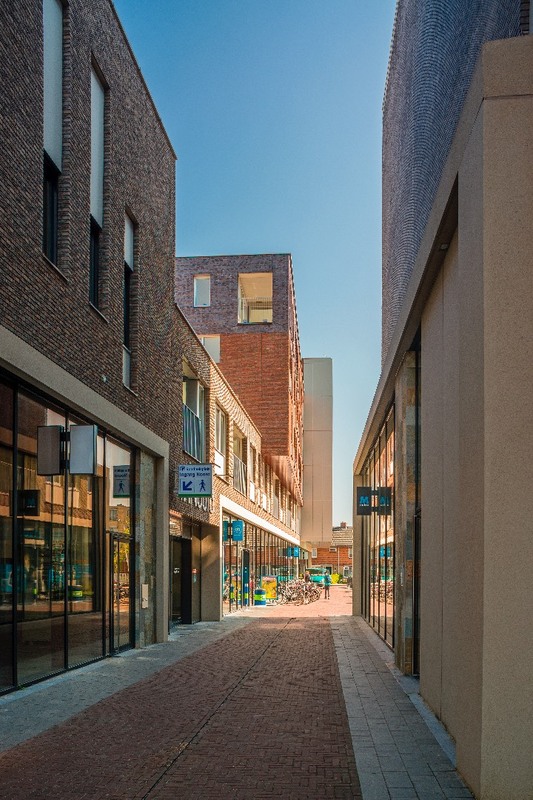 On Raadhuisplein the plot arrangement of the new façades acknowledges the small-scale and horizontal character of the existing buildings in the town. In contrast, the plot size on the Drift side is larger, in keeping with the existing blocks by Bakema. 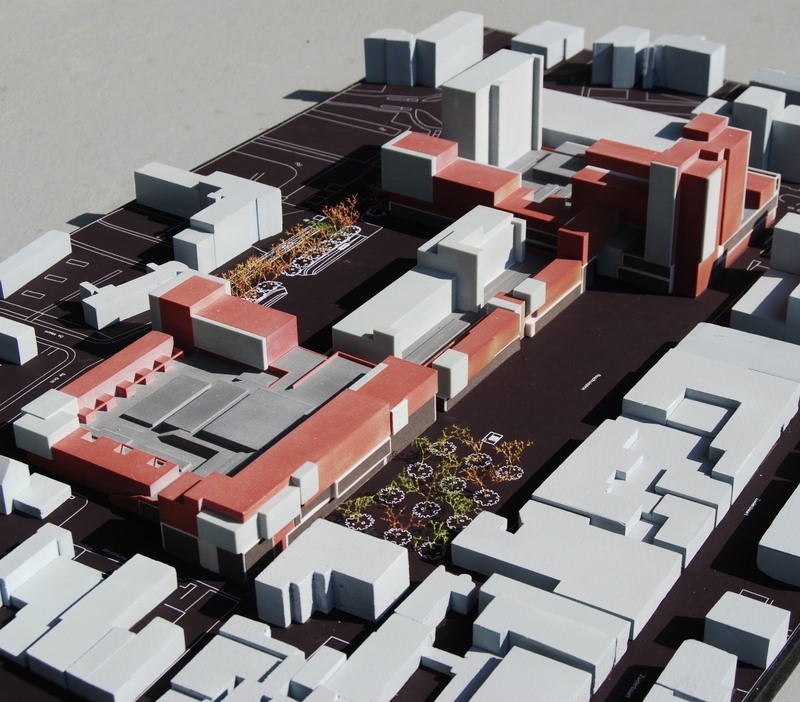 The plan creates a transition between the old section and the newer, eastern section of the city. A feature of the design is its orientation in all directions, and the stacking of residential volumes above large, modern retail spaces. 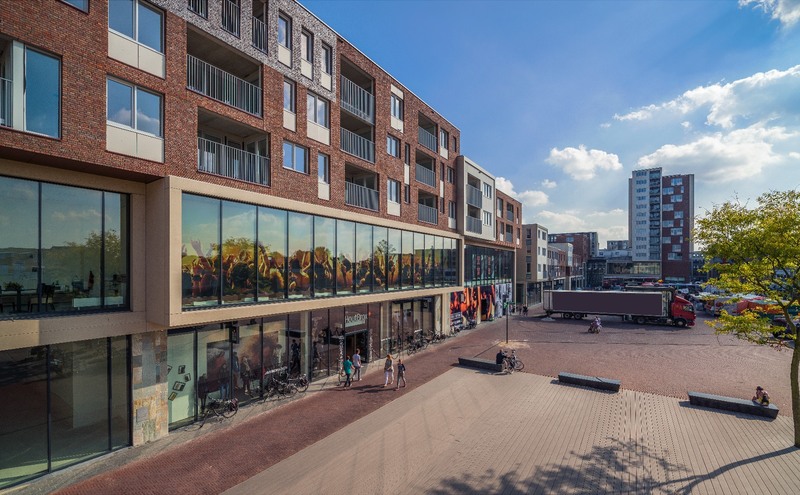 Moreover, unbuilt space is an integral part of the design solution: well-designed public and outdoor spaces transform Raadhuisplein into a pleasant residential and shopping area. In the block 51 apartments for elderly people, with daycare lile catering, central kitchen and meetingspace, and many other services.